There is probably nothing as amazing as having your own private pool. Whether it is for hosting pool parties, cooling off during the summer or for sneaking in a quick workout, they are bound to be a blast. 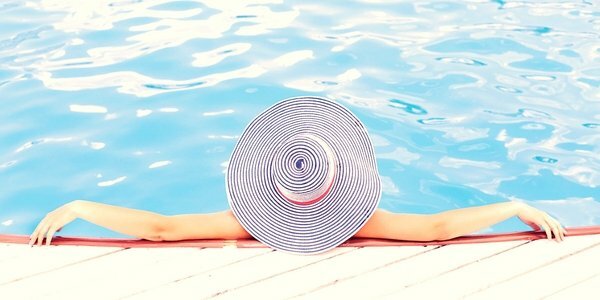 However, a lot goes into maintenance and for your pool to be usable, you will need to invest in the best equipment and systems. This article discusses saltwater chlorine generator for inground pool. What Exactly Is A Chlorine Generator? Chlorine generators are among the most important of pool maintenance equipment. They are used to produce and release chlorine into pool water. The chlorine kills germs in water and prevents growth of bacteria, fungi and protozoa on the walls of the pool. Salt water chlorine generators in particular work by producing the chlorine from sodium chloride otherwise known as ordinary salt. The salt is first added to the pool and the water passed over chlorine cells within the generator. Electric currents are passed through the salt releasing hydrogen gas and hypochlorous acid. The former is lost as air bubbles from the water while the latter acts as a water sanitizer. Unlike ordinary chlorine, hypochlorous acid is converted back into the salt form and can be reused by the system. This means that it is the more economically feasible option when compared to ordinary chlorination systems. The saltwater system is also less odorous and gentler on the skin and eyes for swimmers. When it comes to pool site construction, there are three major types; inground, semi-inground and above ground. The inground and above ground pools are without a doubt the most popular. As the name suggests, inground pools are constructed with the entire structure underground and with the surface of the water on the same level as the ground. In simple terms, it is made by digging a hole in the ground, prepping it and filling it with water. Above ground pools on the other hand are constructed above ground level. Unlike inground pools that involve digging of holes, above ground pools are made by putting up perimeter walls to create a sort of gigantic container that is then filled with water. More often than not, the floor of the pool is at the same level with the ground surface. In addition to the differences in construction style, inground and above ground pools use different chlorination systems. Both of them require the system to keep the entire pool clean. However, there is a huge difference in terms of appropriate sizes of saltwater chlorine generators for each. This is because above ground pools have a significantly lower water capacity than their inground counterparts. This means that using full-size and full-power chlorination systems could weaken or even damage the walls of the above ground pool. 1. Ensure the pool has clean enough water. 2. Mount the saltwater chlorine generator’s control unit near the pool. This is where professional services come in handy to ensure the wiring and entire set-up is done properly. 3. Ensure that the chlorinator’s chlorine cell is in series with the water flow from the pool to ensure that the water passes through before making its way back into the pool. 4. Add the salt into the water and wait for the pump to ensure uniform distribution. 5. Turn on the chlorinator. The water will pass through the cell and the dissolved salt will be electrolyzed to produce hypochlorous acid. Once the timer indicates that the process is complete, turn off the chlorine generator. After all is said and done, investing in a saltwater chlorine generator for your inground pool is a great idea. You will get to enjoy the same degree of sanitization offered by chlorine without the additional costs, harsh chemical nature and pungent smell. Please refer to our Frequently Asked Questions page for more information about salt water chlorinators for both inground and above ground pools.